With Rangers in action on the field tonight, in ongoing crisis off it and with what I feel is going to be a storm in a teacup over betting irregularities this is likely to be overshadowed. So I'm glad to draw attention to some good news: Scotland is to host the 2010 Cerebral Palsy European Football Championships featuring ten teams from across the continent. Matches will be played at Toryglen's Regional Football Centre under the banner of the Cerebral Palsy International and Recreation Association (CPISRA). It might not get much coverage but it's a welcome reminder of the power of football to inspire and enrich lives whatever your circumstances. 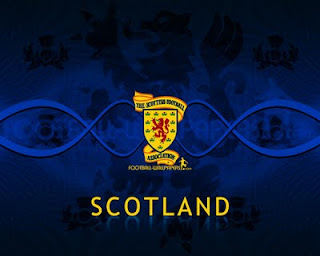 Scotland, incidentally, hosted the first tournament back in 1978. Can't think what else was happening that year.